During a Bhagavatam lecture (1.16.11) January 8, 1974 in Los Angeles, Srila Prabhupada said, "There is a controversy among the Vaisnava community about Lord Caitanya Mahaprabhu, just as the Nimbarka Sampradaya, they say "We accept Lord Caitanya as a great devotee." But the Gaudiya Sampradaya, we say that Lord Caitanya is the Supreme Personality of Godhead because it is stated in the Sastra." Lord Caitanya's advent is predicted and described in many Sastras, including the Kurma Purana Padma Purana, Sama Veda, Visvasara Tantra, Jaimini-bharata, Visnu-yamala, Brahma-rahasya, et al. 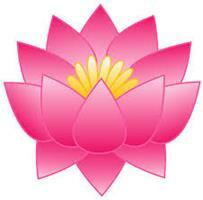 For example, in the Saura Purana it is said: "The Supreme Personality of Godhead appears in two forms. He is either dark Lord Krsna, who is always worshipped by all, or He is fair Lord Gaura, a brahmana who knows the meaning of all the Vedas." And in the Matsya Purana: "In the Kali-yuga I will take birth in a place where three rivers meet. I will be fair and tall. I will have a shaven head. I will be very merciful. I will eagerly chant the Holy Names." Therefore, the authority and order of the Sastra is clear, Lord Caitanya is to be accepted as the Supreme Personality of Godhead. Yet, the controversy goes on because the sastra is either overlooked or ignored, both of which indicate a poor fund of knowledge. Similarly, the unique position of Srila Prabhupada -- empowered to teach to the whole world the ultimate siddhanta as originally taught by the Supreme Lord Himself -- is not carefully understood in his own movement, especially by those who were born after his disappearance. This, even though many of his disciples are still present. The result has been that newcomers in recent decades have inherited a poor fund of knowledge about Srila Prabhupada's exalted position and his priorities for his ISKCON, notwithstanding abundant evidence of his unequalled accomplishments and documented instructions. During his manifest presence devotees had a much clearer understanding, even though the movement, entirely new to them, was without the extensive facilities of temples, books, experienced adherents, etc., all of which are now the norm. Initially, Srila Prabhupada used Dr. Radhakrsnan's rendition of the Bhagavad-gita for his classes. Verses quoted from that book are found in numerous articles by his disciples throughout the first twenty issues of the Back to Godhead. He told them not to read the purports and he explained the actual meaning of the verses himself. The great leap forward came when enough of Srila Prabhupada's own writings were in print to launch book distribution. After Kesava das in Los Angeles demonstrated that the big Krsna Books could be readily distributed en masse to the public, the race was on to keep up with Srila Prabhupada's outpouring of manuscripts. He swiftly organized the whole movement around book distribution. It has been said that during World War II, it took many people behind the combatants on the front lines to get them there and to keep them supplied, from the women workers in the munitions factories, to the Merchant Marine, the parachute packers and the food industry manufacturers of the field rations. Ladies sacrificed their aluminum pots and pans and every metal scrap was commandeered from the junkyards. It was a national undertaking: "The War Effort". Similarly, in ISKCON USA every cook, pujari, mechanic, temple commander, maintenance man, treasurer, pot-washer, president and GBC was focused on book distribution. On Srila Prabhupada's order the book distributors got the Mahaprasad; they got special classes and priority on vehicles -- full facility. At the Los Angeles airport, devotees had the full-time job of driving back and forth between the airport and BBT warehouse, bringing books to keep wall-lockers stocked for the book distributors' easy access. Other devotees provided security. Chicago O'Hare, Washington National, Dulles International, New York's La Guardia and JFK, and Atlanta's Hartsfield -- in every major airport -- books were flying! Macmillan Co., reputed publishers of the Complete Edition of the Bhagavad-gita As It Is, were astonished at the book sales. They reckoned that Srila Prabhupada was one of the most important personalities of their time and made the following written proposal to Srila Prabhupada on July 23, 1974: "Your Divine Grace: Ramesvara das Brahmacary of the Book Trust has suggested that we might address our request for a biography directly to Your Grace. He has informed us that the disciple who initiated the project with our London office is not fully capable of executing this important work. May we ask Your Grace to suggest a disciple who is both acceptable and capable of writing such a work? Please accept our respectful best wishes. Sincerely yours, Bernard J. Hassan, Editor." Ramesvara was enthusiastic about it, but Srila Prabhupada was not interested in anyone doing his biography. The competition between zones and temples was intense. Vans full of book distributors criss-crossed America. A library party canvassed many libraries convincing them to accept sets of Bhagavatams. Worried about accidents, Srila Prabhupada told Kesava that if he was going to do so much driving he should get ten hours of rest daily. Individual book distributors competed for honors in different categories of literature: big, medium and small books. BTGs hit one million a month. One college preacher asked a student in Nashville, "How many devotees do you think there are in the U.S.?" The student was hesitant to reply, but then he said, "Well, I've seen you all around a lot. I'd guess, say, about a million?" Such was the impression created by (maybe) 2,000 tireless, enthusiastic devotees. In 1974, the BBT report to Srila Prabhupada indicated the total sales of English publications for the period January 1 to July 30, 1974 were astonishing: a total of 3,262,257 copies of literature were distributed to the temples. In seven months! During that time, the temples remitted to BBT over $1,000,000. The temples were selling about 17,000 hardbound books per month. A full-size tractor-trailer, painted in large letters with THE BHAKTIVEDANTA BOOK TRUST and the BBT logo, constantly traversed the Interstate highways. When it arrived, glancing over that big white truck with its bold lettering was always a source of pride for the book distributors. In 1975, 350,000 heavily abridged Gitas were published by the BBT, while waiting for the Macmillan contract to expire. In 1976, 1,000,000 more were printed. Elated Kingsport Press managers, who had out-bid Dia Nippon of Japan, held a press conference. 1,000,000 hardbound books in a single printing! The publishing industry was awestruck; an industry record had been set. Print books and sell. Follow this policy and push these books. That is our main preaching. Somehow or other, it must go from door-to-door, hand-to-hand then our preaching is successful. Anyone who will read them will get some benefit. Such literature is not available throughout the whole world. A new revolution for the people in general. This is our main program: print books as many as possible, and distribute. All other programs are secondary. With this aim in view cooperate together. We are the only hope for the human society to receive real knowledge. And our books are the only real thing. So it may take some time, but one day all this rubbish literature, rubbish philosophy, rubbish culture will be replaced… This is my only ambition, that so many people can be enlightened. But they are being deprived of the chance. One day the whole world will appreciate how we have changed the face of the world from darkness to light. This year book distribution must increase more than double. In the future there will be history of how the Vedic culture was introduced in America. We are actually introducing a new style of life and civilization. Everything should be ideal. Others have never dreamt of such civilization -- free life, happy life, no anxiety, and hope, great hope that we are going back now, back to Godhead. By increasing the selling of books, America and then the whole world will become Krsna conscious, and historians will mark this period, how America became Krsna conscious. All the world is in darkness. The scientists, Darwin, Freud, all in darkness. This is the only institution that is giving some light. You must be convinced of this in order to preach effectively. Our books and Back to Godhead must expose these rascals. They are our greatest weapon. (A devotee says, "The pen is mightier than the sword.") Yes, it is a revolution. That is what I think as I write on and on. The communists have changed the lives of people throughout the world by their empty literature and false promises. So why not a revolution started on the basis of the absolute knowledge? Now it is in your hands. You are resourceful, intelligent. Now spread Krsna philosophy, challenge all this Mayavadi philosophy." (After being shown some new publications, including the Ninth Canto Bhagavatam and a newly designed Krsna Trilogy): This is the combination of American and Indian culture. In every field of activity this will prove wonderful. Therefore, Krsna sent me to America. Now everything is improving by Krsna's grace. From the material point of view, whatever knowledge you have got -- how to expand business, how to attract people -- if it is used for Krsna then it is perfect. Always keep in mind, this civilization is wrong civilization run by atheists. So much unnecessary spending on military expenditures, etc. Krsna descends to correct such civilization. In this age Krsna has descended in His Name. You have much important mission . Don't deviate! (When asked how Krsna consciousness would rise to prominence and change the entire USA, since now everything is being manipulated by atheists for increasing materialism): It is true, but now it has just taken its roots. You have to water and protect it. Then you will get fruit. People must hear about us by our books and we must talk about the books. Gradually it will grow. The seed is there. Now protect it by introducing more and more books in every house. Don't think our business is finished. We have much ahead. You have to use your intelligence. Selling books -- this is the water of the seed which has already taken root. Distribute more and more books and go on meantime opening more centers. People should hear about us. In this way you have to protect the seed that is already planted there. (At the Mayapur GBC meeting in 1977 Srila Prabhupada made their duty clear): The real thing is to somehow or other introduce these books… and in the long run that will be the real beneficial thing for the whole world. Now we are very much wanting to distribute full force and push book distribution without fear of public reaction… Our book distribution means that he has helped our attempt to expand the glorification of Krsna. Or if he is reading our book that is also glorification of Krsna… Our attempt is to awaken people to understand Krsna. There is no other way -- hearing, glorifying Krsna through book distribution. By 1977, motivated by Srila Prabhupada's entreaties, all the devotees in America and Britain, a relatively small number, had accomplished amazing things, what to speak of the devotees distributing books in Europe and India? And the Soviet Union! Devotees were regularly, at great risk, infiltrating the Iron Curtain countries. The GBC operations in these countries were kept secret, even from other GBC men. When Srila Prabhupada returned from his visit to Moscow in 1971, he remarked how the Communist government was "a horrible, horrible government" and that the Russian people were also Europeans and they wanted freedom. Clearly, after such a statement of condemnation from an exalted devotee like Srila Prabhupada, it was just a matter of time before the Iron Curtain would come down. Indeed, in 1988, the U.S. President boldly said at a big press conference in West Berlin: "Mr. Gorbachev, tear down this wall!" A startled audience, including his cabinet members, rose to their feet with a standing ovation. Little did they know that Srila Prabhupada's agents had already been penetrating that wall since the early seventies. One of the devotees, Pancadravida das, described how he would wear a formidable winter coat like everyone, but sewn in the lining were pockets for holding books. At an opportune moment he would open his coat to passersby and suggest that they might "like to have a book on yoga?" People would react with wide eyes and trembling hands, reaching out for a book. Hiding it under their garments they would walk briskly out of sight. Devotees risked their lives to distribute Srila Prabhupada's books. Even in America. In the Southern U.S. there were fanatic sectarian groups, like the Klu Klux Klan. In one instance, two firebombs were thrown at two a.m. into a house rented by a traveling party preaching at colleges. An 18 year-old brahmacari, Brajajana das, who had just received second initiation that evening, was killed and two wounded. One of them, Shankar das, was seriously burned. A revolver was found in the grass. No one was ever apprehended. But devotees joined the movement to spread it. It was a revolution and revolutionaries take risks. Srila Prabhupada had already set the example himself. He once explained that the Sankirtan yajna in Kaliyuga was a greater austerity and sacrifice then those of previous yugas, because it required approaching people directly and being prepared to tolerate refusal and abuse. It required more daring and humility. And greater risk. Those statements of appreciation by Srila Prabhupada repeated above only further endeared him to the devotees, who knew it well that pleasing Krsna without pleasing Srila Prabhupada was not possible. And they knew that if Krsna was pleased their lives were successful. It was that simple. Of course, there had been problems when some devotees would develop separate interests. Those who blooped were replaced by new recruits. Then, as now, there were casualties in the ranks; maya tested and took her toll. But Srila Prabhupada had made the adjustments and kept on writing and travelling and preaching. And then things began to change. Srila Prabhupada had been seriously ill in 1967 and again in 1974, but as 1977 progressed things became more alarming and devotees were in constant anxiety, awaiting reports from the leadership. Then in November 1977, everything took a complete turn. Srila Prabhupada's disappearance plunged ISKCON into an ocean of grief. When the devotees from around the world came to the Mayapur festival, they found eleven brand new vyasasanas in the temple room. It was too much of a shock for many; too much too soon. Some disciples had already offered constructive criticism, calling for a reality check and a very conservative transition. Devotees like Pradyumna Pandit (as Srila Prabhupada named him), Kailascandra das, Jadurani dasi, et al. were ostracized. She was severely beaten in New Vrindaban. Many others left soon thereafter and over the coming years. The first great schism had been created in ISKCON: the bifurcation of the Governing Body Commission into eleven gurus and thirteen "non-gurus" or, as the leader of the Gaudiya Math put it so diplomatically, "the fit and the unfit". The Great Controversy was born. More schisms and endless controversies to come were spawned from that act. Parts of the complicated history that ensued are well documented, some are not. Much has been written in bits and pieces about it. But here, the focus is on the underlying cause of the controversial event. Another controversy had been previously created, as Srila Prabhupada explained hereinbefore, when the Vaisnavas of the Nimbarka Sampradaya did not accept Lord Caitanya as He is. Whatever underlying motives there may have been, it was due to a poor fund of knowledge. Like the followers of Nimbarka, the GBC remains embarrassed by their poor fund of knowledge. 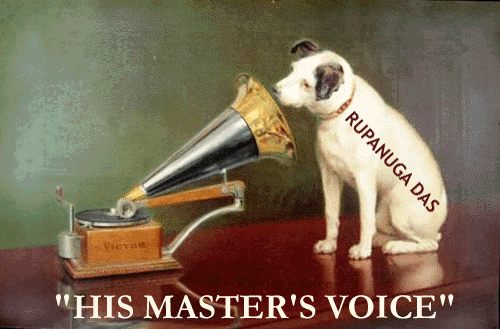 By ignoring, overlooking, misinterpreting or contravening Srila Prabhupada's documented instructions on management (e.g. his classic letter to Karandhar regarding centralization and bureaucracy, 12/22/72), as well as his voluminous translations and purports, controversies are created. The GBC has historically demonstrated by its acts and legislation a dismal fund of knowledge regarding: editorial policy and book distribution, Srila Prabhupada's disciplic succession, funding the mission of the Bhaktivedanta Archives, avoidance of the Gaudiya Math, Deity standards, the protection of women and children, Vaisnava etiquette, gurukula education, asrama regulations, farm projects, restaurants, the Bhaktivedanta Institute, the duties of temple presidents, GBC and BBT members, as well as the requirements, character and qualifications of a guru in ISKCON, to summarize a few. In addition, the GBC evades the gravest and growing controversies regarding "Hinduization", social welfare programs, "interfaith" agendas, as if these activities were actually approved by Srila Prabhupada or originated by him. In fact, these programs as now implemented are all tainted with compromise (a species of cowardice), although new members accept them as bona fide. Meanwhile, the BBT leaders educate devotees to assimilate the contention, their underlying presumption, that whatever book revisions they have made would be allowed by Srila Prabhupada if they could be shown to him. But in fact, this speculation is but an advanced symptom of what Srila Prabhupada named "the change disease". There are numerous constructive critics inside and outside of official ISKCON, including more recently an official guru, who has been critical since at least 2005. But the "insider" critics tend to overlook the unbonafide practices of democratically electing gurus (since when does a bona fide sannyasi need permission to take disciples? ), or the revising of Srila Prabhupada's books, both of which lack parampara precedence and Srila Prabhupada's authorization. This is precisely how controversies are created, rooted in a poor fund of knowledge. In Webster's authoritative Collegiate Dictionary (2005), "controversy" is defined: 1. a public dispute concerning a matter of opinion and 2. contention, strife or argument. The issue of changes in his printed books was raised by Srila Prabhupada himself on June 22, 1977. He expected his disciples would do the needful rectification. There is nothing controversial about that and no room for any other opinion or argument. Yasodananda Maharaj was present, and Srila Prabhupada instructed him to send a letter to Satsvarupa Maharaj, which he did on the 24th. The letter appointed Satsvarupa, Jayadvaita Brahmacari (for English) and Prema Bhakti Maharaj (for Sanskrit) to go over his printed books and correct all the mistaken changes which had been made. A committee to correct the corrections! Unfortunately the committee didn't manifest, but it could have been a "hands-on" learning experience for those devotees, regarding just what kind of corrections or editing Srila Prabhupada had in mind, then, and for the future. Anyway, Srila Prabhupada made it extremely clear how he wanted assurances that his books, when reprinted, not be changed without his consent. And all this tempest took place less than six months before Srila Prabhupada-vapu was to disappear, leaving his society to depend solely upon Srila Prabhupada-vani. The originally successful 1977 hijacking of the GBC eventually proved to be the undoing of the perpetrators, who forgot that control of the Hare Krsna Movement is beyond the pale of mortals, defined as those who are about to die. But the GBC has never been the same since, a mere shadow of Srila Prabhupada's original creation, and like the exploitive monarchies of Europe, their potency to govern has been gradually withdrawn by their creator. Srila Prabhupada had warned the GBC, his "Mahajans", that a slight error like that of Yamaraj, would get them a birth as sudras (lecture 6/4/74), Geneva). And he didn't say where. 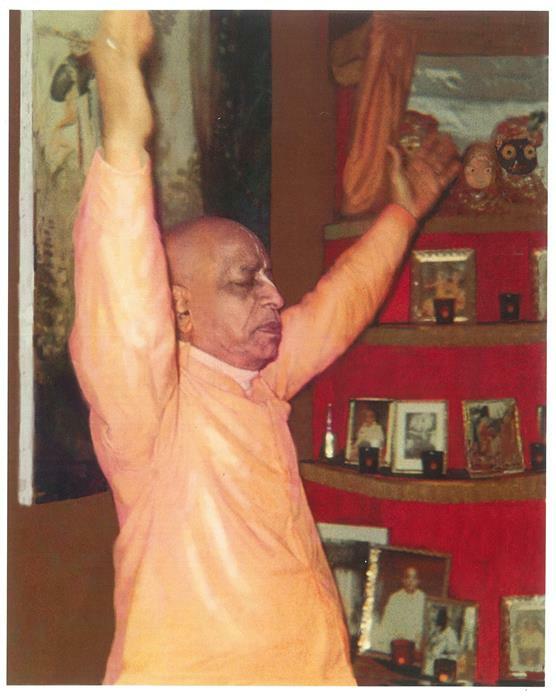 By 1980 the devotees in general, still recovering from Srila Prabhupada's untimely disappearance, found themselves plunged into a veritable ocean of controversies. Those controversies continue to multiply within an ever-metamorphosing ISKCON under the expanding leadership of guru devotees, who more or less steer the GBC, BBT and everything else. Despite the huge increase in membership, the gradual obfuscation of Srila Prabhupada's front-and-center position has resulted in the diminution of book distribution, which he considered his greatest contribution to the world. One cannot say Srila Prabhupada is still front and center like he was in 1977, as demonstrated herein. If so, the proof would be his book distribution. Literature would be going on a scale matching the increase in ISKCON membership since Srila Prabhupada's manifest presence, because he is still, now, actually present in his vani form. Well-publicized and successful programs, publications, etc. by his disciples are no substitute for the vast number of literature that could have been and should have been distributed for decades. The world is much the worse off because of it, and the consequent loss of the World Acarya's benediction is regrettable. Certainly there are notable exceptions to this assessment, individually and collectively. Yet a discerning perusal of the Internet reveals an increasing number of interpretations, modifications, adjustments, amendments, etc. going on in the devotee world, due to a poor fund of knowledge regarding Srila Prabhupada's written and spoken instructions. Thus, controversies are created. This is due, primarily, to a lack of what may be called a Krsna conscience, or the commitment of leadership to conscientiously pass on and maintain what Srila Prabhupada has given, and live it themselves. ISKCON suffers from a failure of leadership. And the vacuum created is being filled with so many customs, innovations, extra rituals and life-styles, superfluous to measurable spiritual advancement collectively and individually, for both devotees and the public. Now it stands to reason that the key players in the modern ISKCON scenario are the guru devotees, because new members accept their guru's explanation of the mission as authoritative first of all. If their guru tells them to do what Srila Prabhupada says, to distribute his books profusely, they will do it. Just as Srila Prabhupada followed the instruction of his spiritual master to print and distribute books, Srila Prabhupada's disciples who are acting as gurus can follow the order of their spiritual master to distribute books. Srila Prabhupada's books, the lawbooks. The books written by his disciples are not the lawbooks for mankind. They are important as long as they bring readers to the point of taking Srila Prabhupada's books, which embody both the Book Bhagwat, the verses, and the Person Bhagwat, the purports, on every page! So if the tens of thousands of new devotees are positively mobilised just as Srila Prabhupada did, the primary mission of ISKCON, which is to propagate the transcendental teachings immortalized in Srila Prabhupada's books, will be achieved. As far as practical book distribution and preaching is concerned, it is far better to distribute and talk about the 1st editions printed during Srila Prabhupada's time (which excludes the 1974 TLC for reasons to be explained later), because they have far less corrections to be made than the later revised editions do. There are so many corrections of philosophy and style to be made in the revised editions, that when compared to the originals they are proving unreliable for giving Srila Prabhupada-vani as he is. To conclude, the mis-leaders of the material world have brought their peoples to the brink of moral, economic and military disaster. Srila Prabhupada made it so clear in those last months in 1977, his final instructions to the members of ISKCON and for the future members also: "Our attempt is to awaken people to understand Krsna. There is no other way -- hearing, glorifying Krsna through book distribution." Official ISKCON gurus, GBC and BBT devotees and their followers are by definition but assistants, servants of Srila Prabhupada. That humility is the first price to pay; conquering pride, it becomes a most welcome opulence. The moral of the story of devotional service is that humility triumphs, that taking the humble position, dasanudasa, is best. In the light of Srila Prabhupada's devotion and accomplishments, simply by remembering them, one can always see oneself a fig by comparison. A devotee should always feel proud of Srila Prabhupada, "ebe jasa ghusuk tribhuvana", may your fame be proclaimed throughout the three worlds.